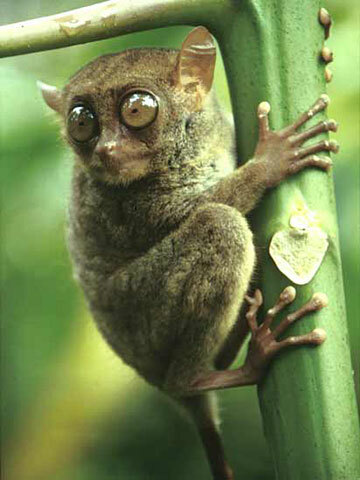 A tarsier in a clinging to a tree in characteristic pose. Based on the rating of 1588 users. This picture has been viewed 170 times.